Since the year 2016 Goldcar has added new services focused to improve your customer’s experience. On this occasion, we want to talk Key’n Go service, a system whereby customers gain in autonomy and speed in the management of the rental of a vehicle regardless of a customer support and doing it all in a minute. 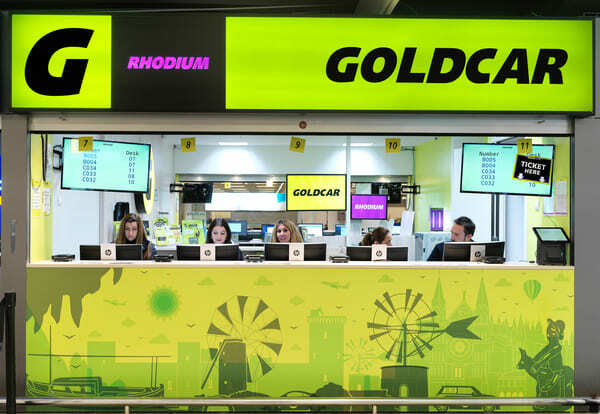 90% of Goldcar customers make reservations online so the company decided to carry out an investment of more than EUR 2 million in the year 2016 to promoting the excellence of the computer application and its online services, thus satisfying the greater part e from the people who use their services. 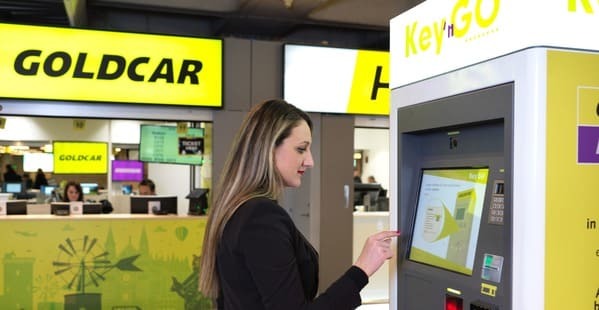 In this context Key’n Go develops, a smart key dispenser which is operational in several countries as Spain, Portugal or Italy. About our country, it is a service that already can be used in cities like Madrid, Barcelona, Gran Canaria, Tenerife, Palma de Mallorca, Valencia, Alicante, Ibiza, Menorca, Malaga, Seville, Murcia and Lanzarote. Outside of Spain, it is possible to make use of this service in Palermo, Rome, Lisbon, Milan, Catania, nice, Porto, Pisa, Bordeaux, Bologna or Faro. The conditions for benefiting from the service Key’n Go are that the driver has minimum 21 years, one year of experience behind the wheel and all the documentation in rule. Other features offered by the computer application from Goldcar is information of the target in real time, calculate time will arrive to the office to pick up our keys, contact the roadside assistance service or even activate a tracking system that remind us where we left the car parked. How does the Key’n Go service work? 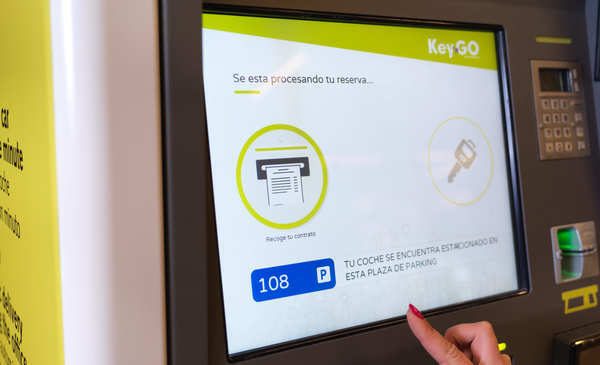 It is very important that when making our reservation, either through the website or by the computer application, select that we want to enjoy the service Key’n Go, It has no charge and is completely free. In the case that we want to add last minute extras after completing our reservation, we can do it in the office of Goldcar paying the amount corresponding. The service Key’n Go does not also prevent that we ask for a baby chair. After collecting our keys in the smart dispenser, only we have to ask a member of staff of the office and it will provide us at that very moment after paying its price. Once we get to our destination, will not need to move to the Goldcar customer support but that we will directly go to the machine’s Key’n Go. The location will be shown on your voucher and if we need help, we can consult with Goldcar desk personnel so as to show us where. The schedule for the keys is the same schedule that has the office so it is convenient to refer to it. 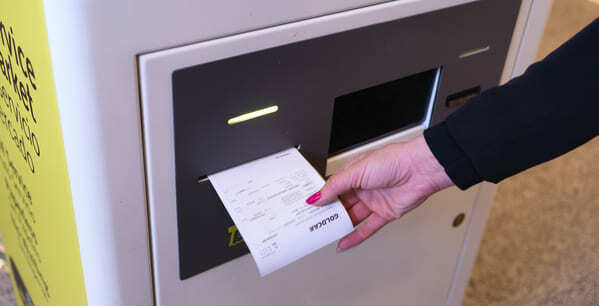 Once facing machine and after choosing the desired language, you will have to enter one of these three data: passbook or password, QR code or the booking number. It is not necessary to take the paper with these data provided we have installed in our mobile phone application from Goldcar. After this, just need to pick up your keys and go in search of our vehicle. To return the keys, it is as simple as delivering them at the counter or leave them on one of the mailboxes of delivery that is on the outside of the offices.